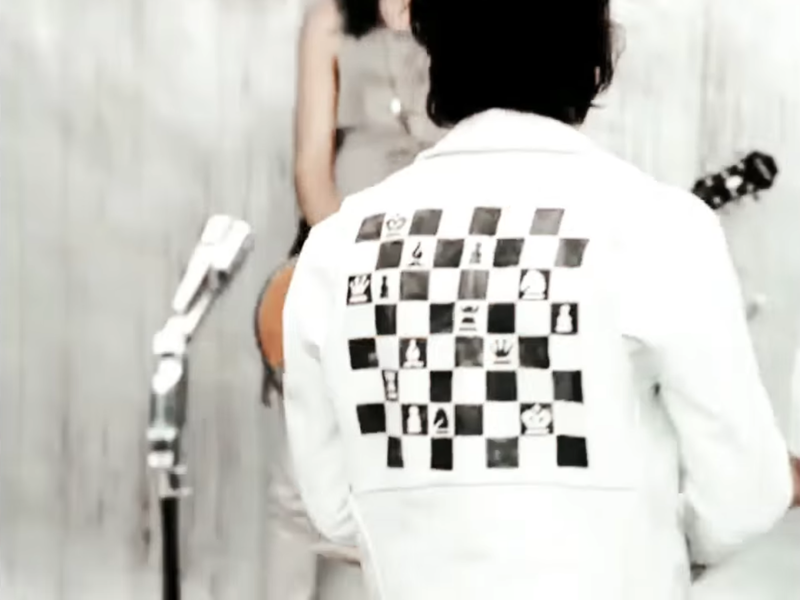 This guy who has turned his back on chess is the aforementioned Casablancas, who does the singing for The Strokes, as he is getting ready to make the highly original claim that you live only once. At least, that’s what you’d think, but if you actually read the lyrics, you’ll realise he never says anything like it. In fact, here, as with previous music videos I discussed, the text is hilariously stupid. Will the chess be any better? Probably not, but let’s find out. It is not clear whose move it is and that’s a pity, because rarely have I featured a position where the question was more poignant: black to move and it’s mate in 2,2 white to move and he can take a queen for free. The only recourse I saw for solving this conundrum was trying to figure out what the last move could have been, but this, too, is a considerable task. It is not hard to come up with a more or less plausible last move from black: he could have answered Kb8 to Qa6+. It is far harder to suggest a possible last move for white: if it was not with the knight currently on g6, he could have taken thee queen, if it was with that knight, he could have gotten his bloody priorities straight and try to do something against the threat of mate. Realism: 3/5 I can actually see this position occurring in a free blitz game between some amateurs. Probable winner: White. For the reasons mentioned above, we can assume that black made the last move, so white can simply win the queen.